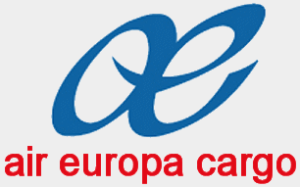 Type your Air Europa Cargo tracking number below, get live delivery information with our express tracking system. Air Europa Líneas Aéreas, S.A.U. is an airline in Spain, the third largest after Iberia and Vueling. The airline is headquartered in the Polígono Son Noguera in the Centro Empresarial Globalia in Llucmajor, Majorca, Spain. The airline is 100% owned by Globalia, a travel and tourism company managed by Juan José Hidalgo. Since September 2007 the airline has been a member of the SkyTeam alliance. If you have problem with our express tracking system, please track your package directly on the Air Europa Cargo website. If you get no tracking information from Air Europa Cargo official website, you’d better contact them. If you have problem with our Air Europa Cargo Tracking system, submit your problem here, we will help you as soon as possible. Declare: We can NOT contact carrier or others on your behalf, we can only help you track your package with your Air Europa Cargo tracking number on official tracking system.